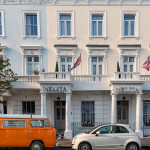 The Melita Hotel is a beautiful townhouse hotel located in a leafy residential street in Pimlico. It offers great hospitality and is fully committed to service as well as offering great value for money. You’d think that staying in your comfy, crafted room would be relaxing enough? But then you remember that London has some of the best spas in the UK, and The Melita is so well located that even getting to them will be a relaxing experience. 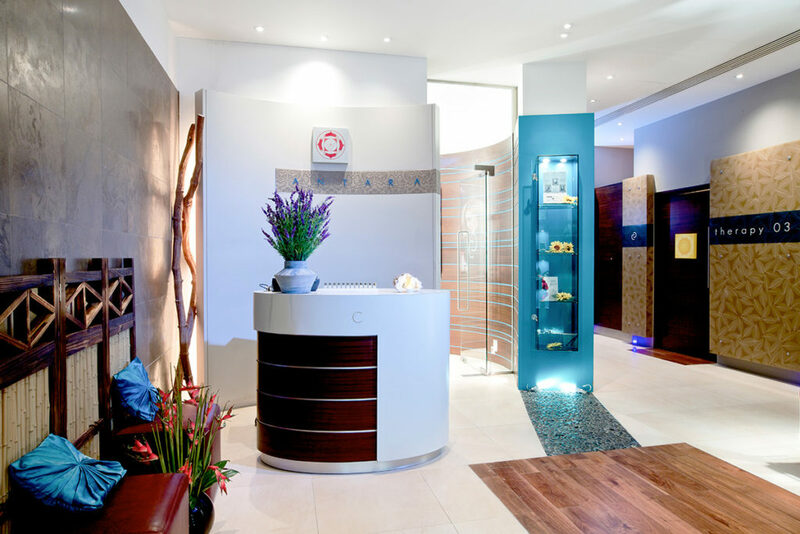 This spa is located within a couple of minute’s walk of Pimlico underground station, Pimlico underground station is just one stop away from Victoria station and Victoria station is just a few minutes walk from the Melita Hotel. How much more of a relaxing journey do you want to have?! This spa offers the chance to unwind to Moroccan Hammam and Rhassoul rituals, specialising in the cleansing, exfoliation and detoxification of your skin; tailored spa treatments to help with relaxation & balance and prescriptive maintenance & repair. The spa’s Moroccan persona blends seamlessly with the busy reality of London. Plants and herbs that are indigenous to Morocco are actually harvested in the gardens of Dolphin Square for use in the various unique treatments and rituals the spa has to offer. Even the mineral water is drawn from an Artesian well in the City of Westminster. The Spa in Dolphin Square offers a number of packages and specific treatments which cover pre-natal requirements, baby shower party packages and they are even Hen Party friendly. Antara Spa boasts everything you need for a complete spa day, but its website is at pains to say that there is “no overnight accommodation”. No problem when your comfy room at the Melita Hotel is less than fifteen minutes away by underground! The spa is located a few minutes walk from Fulham Broadway tube station, in the Chelsea Health Club. The Chelsea Health Club is part of Stamford Bridge Stadium, another bonus if you’re a blues fan! 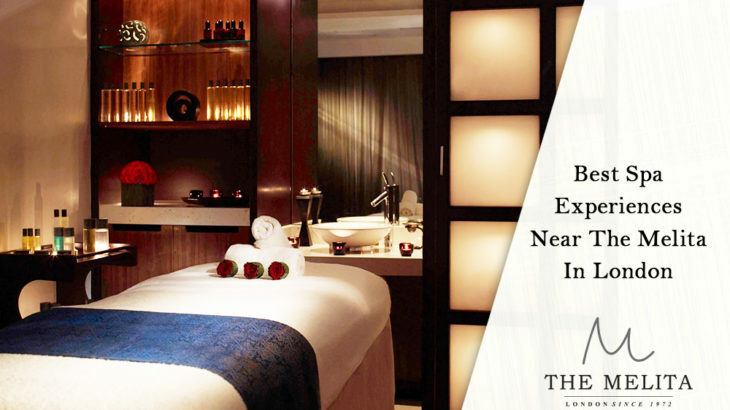 Antara Spa is a holistic spa which gathers together world renowned treatments which are both evocative and innovative. The meaning of the word Antara is ‘balance from within’ and that is exactly the aim of this spa, bringing together your physical, mental and emotional wellbeing. There are six treatment rooms at the spa, all decorated in their own particular style. This includes a Couples Room where you can relax with your loved one in a big steel hot tub. Antara Spa can put together bespoke treatment packages as well as a range of standard treatments for bodies, facials and a Finishing Touches package. One of the most popular standard packages they offer are Couples Days. These couple’s packages include one and two hour treatments right through to full days and an intriguing option called Cleopatra’s Signature Ritual. 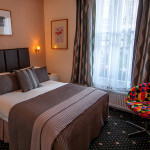 Spending the weekend with a loved one in London at The Melita? This sounds like a ‘must add’ into your plans. Here’s where you can choose your location because you can enjoy Cowshed Spas at five locations across London. Don’t worry, all of them will be easy to get to from The Melita Hotel. 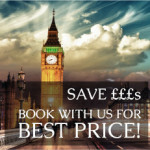 Choose from Central London, West London, North London or East London. These include locations within famous locations, as you can find one in Selfridges and another in the world renowned ‘swinging sixties’ Carnaby Street. These spas are on a smaller scale than some others but have far more affordable options than most. They even let you whizz in, have your treatment, and whizz out again if you are on a tight schedule. You won’t find whale music or anyone playing the harp and feeding you grapes here, but you will feel a homely atmosphere and an ideal place to meet friends and socialise. 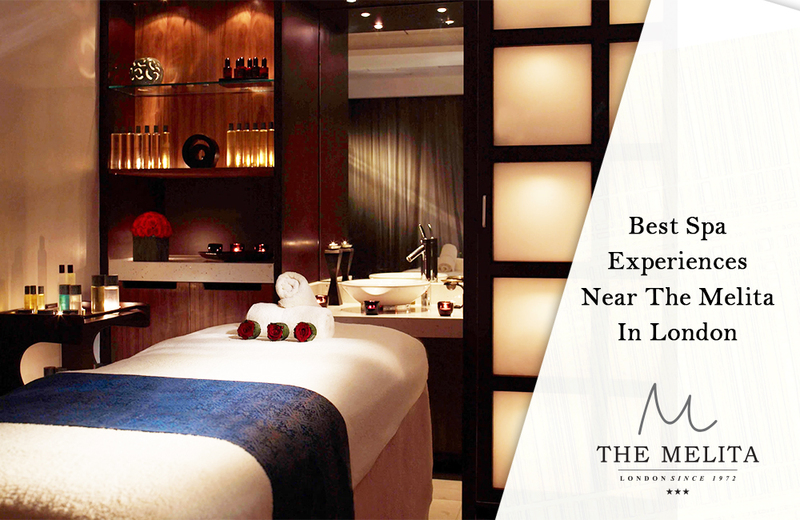 They do offer a full range of treatments of course, including manicures, pedicures, facials and full body massages. Try the famous Cowgroom which features two therapists working on you in tandem for the ultimate pampering experience. If you’re not in a rush then it’s the ideal place to relax post treatment with some tea and a slice of cake. Perhaps even sample and buy some of their produce, which includes hand washes, lotions, candles, room sprays and diffusers. If you’re looking for something (a lot) different to the norm and you don’t mind a little bit of extra travel (if half hour door to door from the Melita can be considered extra travel), then Banya No 1 should definitely be on your radar. This is an authentic Russian Banya based in the heart of London. A Banya, in case you were wondering, is a traditional Russian Steam Sauna. It is a sauna which generate high levels of steam through putting water onto cast iron which has been heated to 700° inside a brick furnace. This causes a lower temperature than you’d find inside a sauna but the increased steam lets the body sweat and detoxify. 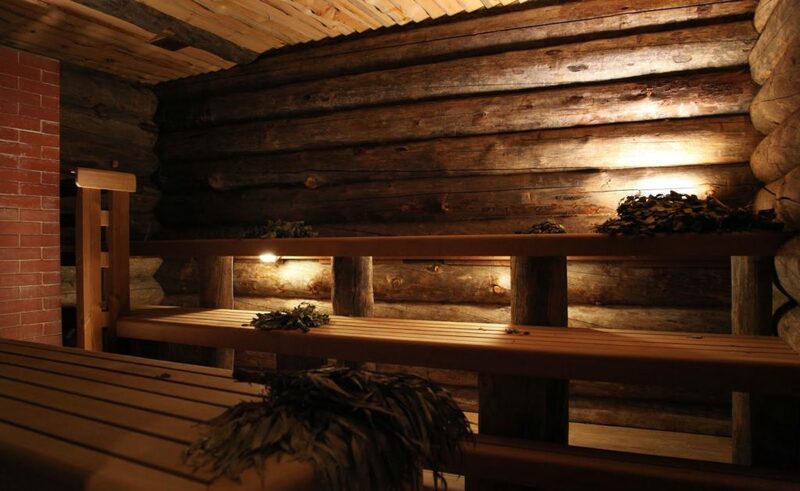 After your visit to the sauna, to continue the authentic experience, you will have a bundle of birch, oak or eucalyptus twigs rubbed onto your body to boost your blood circulation and alleviate stress. The experience is concluded by an invigorating dip into a cold plunge pool. The adrenalin rush this causes will leave you both relaxed and invigorated. The whole package includes authentic Russian food and drinks too and other treatments can be added, such as a honey and salt scrub or a Russian style deep tissue massage. The Banya is mixed for most days, but does have times that are for men or women only, it’s worth checking the website before visiting to make sure you don’t get caught out! 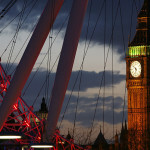 London may be a busy city full of hustle and bustle with a thousand things to see and do all at once. But that doesn’t mean you can’t take a little time out to relax. You’re on holiday after all. Leave it to the Melita to relax and de-stress you while you sleep, but why not try one of these amazing experiences during the day to leave you feeling really loosened up at the end of your break?